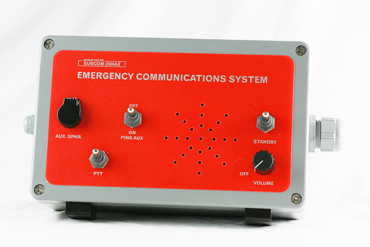 The industry standard in emergency through-water voice communications and a trusted safety system in use for over 20 years by all the major diving companies. Hermes is a hard-wired communications multiplexer for data transmission through 8 bi-directional channels over a single twisted pair cable. 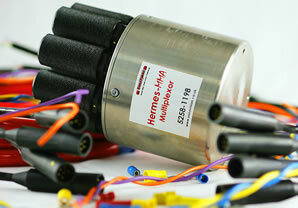 Hermes allows the ROV operator to integrate communications with all sensors without using multiple twisted pairs. Hermes can also be used to bundle serial sensor datastreams over a single fibre channel. Hermes was designed for Sonavision sensors, but can also be used for serial devices from any other manufacturer.